Ordering Spicy Eggplant Salad (Tam Maak Kheua) to have with grilled Tilapia fish (Ping Pa Nin) and steamed sticky rice for lunch at Kok Pho Market (Talat Kok Pho) in Vientiane, Laos. 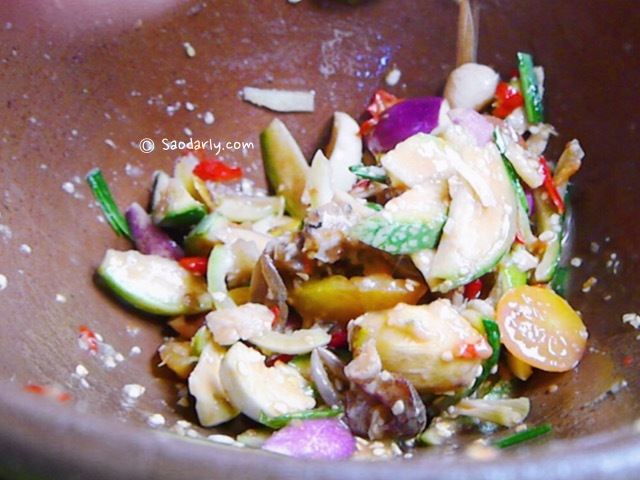 Spicy Eggplant Salad (Tam Maak Kheua) is made by crushing or pounding red chili peppers, sugar, and sliced tomatoes together using a Mortar and Pestle. Then sliced round eggplants are added (white eggplant, green eggplant, and purple eggplant) along with sliced hog plum. 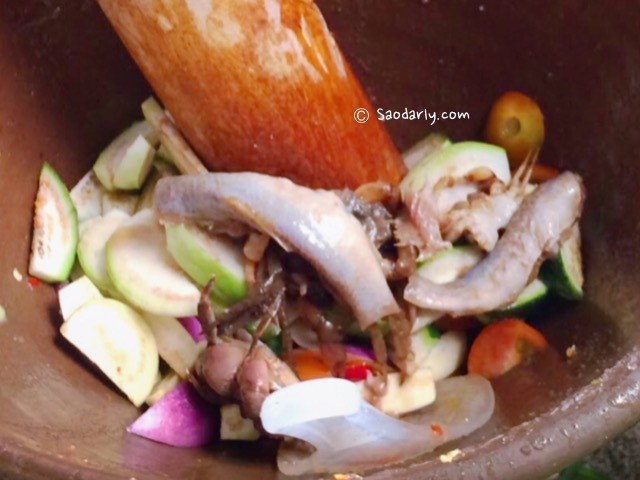 The papaya salad maker added lime juice, raw fermented fish sauce (Padaek) and pickled crab for seasonings. 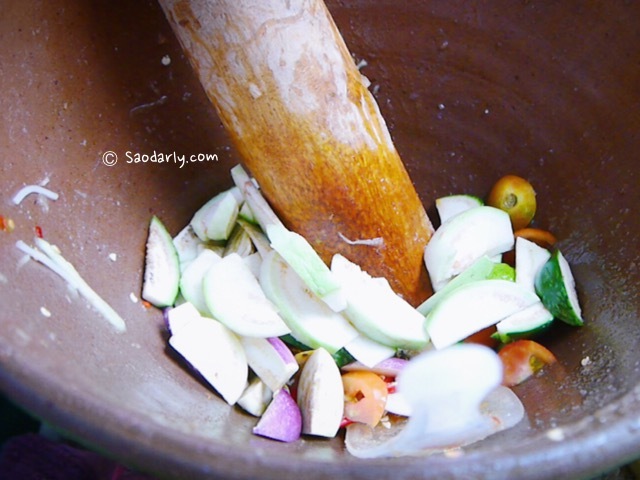 She also added chopped garlic leaves to bring out the taste of the salad.